Nebraska may have lost to Colorado, but there were a lot of good things that happened on the football field. Senior captain and starting outside linebacker Luke Gifford was clear there are no moral victories at Nebraska. That doesn't mean there weren't some bright spots, too. A big bright spot from Saturday was the production Nebraska got from players making their Huskers debut. In fact, Nebraska’s recruiting staff put out a graphic about it on Monday on Twitter. One of the players that contributed to that newcomer success was true freshman running back Maurice Washington. The Stockton, California, native tallied 34 rushing yards on eight carries and also caught two passes for 16 yards in his debut. Washington flashed the quickness and elusiveness that made him such a highly sought-after recruit in his limited action. On Monday, Washington spoke about how it felt to get out on the field for the first time this season. “It felt great honestly,” Washington said. “There were so many good things that the team did and honestly, we are just really excited for the season. My first college play I got hit a little bit but I bounced right back up. Practice and my other teammates prepared me well for that. When Washington arrived on campus in August, there was some skepticism about the rave reviews he was receiving so early in his career. Some thought it wouldn’t be possible for Washington to see action early in his career due ot his inability to train much while waiting on his eligibility status to be decided. According to Washington, getting up to speed physically comes naturally to him. The saga over the summer of whether or not Washington would make it to Lincoln at all or have to take an academic redshirt obviously came to an end with a positive result for Washington and Nebraska. Still, what was that moment like for him after so much uncertainty? The excitement that Washington felt when he got qualified is now matched by what Husker fans feel about seeing his development. 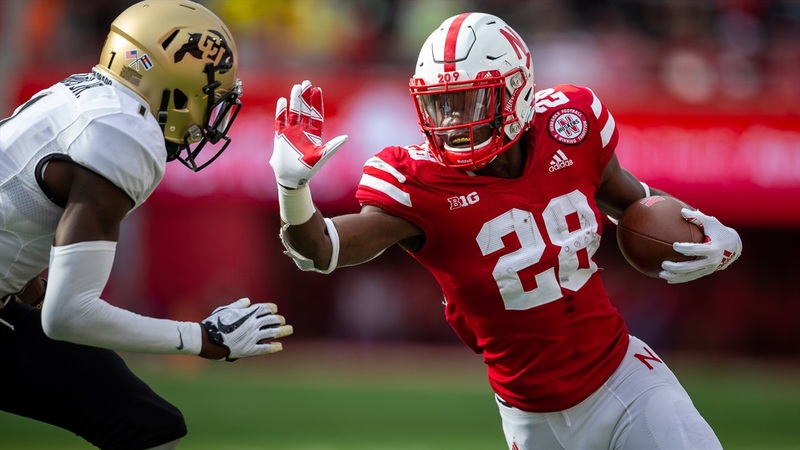 If both he and fellow freshman Adrian Martinez live up to their potential, Nebraska has a special backfield for years to come.